No. I am not that brave to actually eat a scorpion but this dish is called 羊蝎子 which literally translates to Lamb Scorpion. 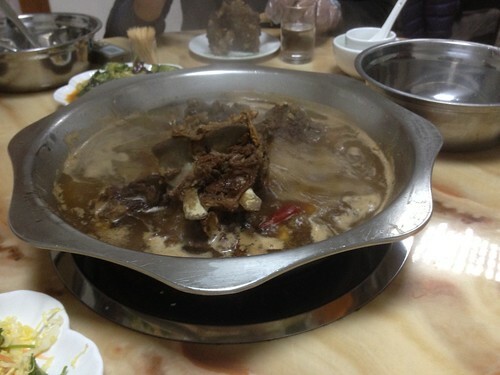 It is a lamb hotpot dish but I had to make sure coz in QQland, anything is possible when it come to eating animals. 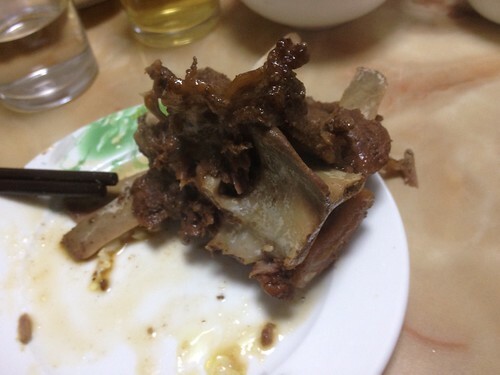 The explanation was that this lamb hotpot dish uses the entire spine of the lamb where when you hang the entire skeleton up, with the tail hanging, it looks like a scorpion. Hence the name. It was awesome weather to be eating this and what I love most was the richness of the soup. Made me think of our fabulous Sop Kambing back home. Too bad, I didn't have bread to go with it.